The contenders who made it to the popular category for the upcoming 21st Annual Life OK Screen Awards. 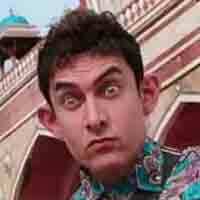 PK: As the alien who lands on earth to do a study on humans, Aamir Khan endeared himself to the audience. Like last year, Khan kept the film’s promotions to the minimum, revealing neither its story nor doing interviews. PK broke all records in the first weekend itself. Gunday, Kill Dil: From playing the intense lover in last year’s Ram-Leela to an outlaw, both in Gunday and Kill Dil, Ranveer Singh displayed his versatility as an actor. While Gunday was a hit, Kill Dil did not do well at the box office, but the actor certainly impressed as the stylish killer. 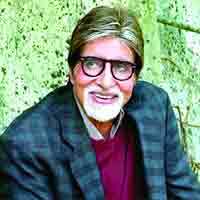 Bhoothnath Returns: Once again, Amitabh Bachchan excelled in the supernatural comedy where he played a ghost, who is mocked in the bhooth world for his inability to scare children and sent back to earth to redeem himself. The film was loved by many of Big B’s fans. Holiday: A Soldier Is Never Off Duty: Director AR Murugadoss presented Akshay Kumar as the vigilant and fearless army officer in the most dramatic manner. Kumar, on his part,delivered and how! The film was a huge success at the box office with a Rs 100 crore plus collection, giving the actor a major hit. Kick: Salman Khan’s act as the fun-loving and adventurous Devil in Kick, worked well with the audience and once again the undisputed king of the masses ushered in a business of Rs 100 crore plus. 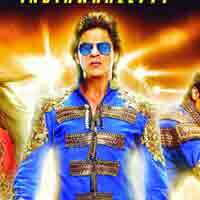 Happy New Year: Even though the film had an ensemble cast, it was Shah Rukh Khan as the irrepressible Charlie in Happy New Year, who charmed the audience. On his part, the actor seemed to have had a ball playing his character. The dance-heist drama turned out to be a number cruncher at the box office. Singham Returns: No one does action better than Ajay Devgn and he proved it in Singham Returns. Devgn reprised his role of Bajirao Singham with elan, in the sequel to Singham. While the film was praised for director Rohit Shetty’s high-octane action scenes, it was the trigger-happy Devgn, who left quite an impact on the audience. Humpty Sharma Ki Dulhania: Varun Dhawan’s character of Humpty is one role that cine-goers will not forget in a hurry! The charismatic actor played his character unabashedly and set all the female hearts aflutter. Dhawan is definitely proving to be an actor to look out for. Ek Villain: Be it the loyal lover boy in Hasee Toh Phasee who believes that once you are committed there is no straying, or the hit-man in Ek Villain, Sidharth Malhotra was in the news for both the films, the latter entering the Rs 100 crore league. Clearly one of the interesting actors who made a mark this year. 2 States: As the quiet and serene Punjabi boy in 2 States, Arjun Kapoor displayed a new side to his acting ability after playing the rugged Parma in Ishaqzaade. The audience approved and cheered the lanky Kapoor and the film entered the 100 crore club. Bang Bang: Once again Hrithik Roshanwon the audience over with his Greek god looks and breathtaking action stunts as a man on a mission. It wouldn’t be wrong to say that he was one of the biggest reasons to watch Bang Bang, which was one of the highest grossers of all times. Haider: After playing the regular hero roles, Shahid Kapoor took the audience by surprise playing the many-layered Haider. The actor transformed from a student to a cynical youth full of angst and anger with ease. The film also found a place in the Rs 100 crore club. 2 States, Humpty Sharma Ki Dulhania: Be it the free-spirited Ananya in 2 States or Kavya, who wants to buy an expensive designer dress for her wedding in Humpty Sharma Ki Dulhania, Alia Bhatt charmed her way into the viewers’ hearts. Not to forget that both her films were money-spinners. 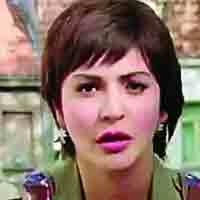 PK: Anushka Sharma, who went in for a make-over as the fearless journalist in PK, left an impact with her performance and screen presence despite being pitted against Aamir Khan. Sharma is now in demand. Mary Kom: If anyone has worked on a role extensively, it is Priyanka Chopra. The actor went all out to play the role of boxer Mary Kom and her preparation showed on screen. The actor wowed the audience and the film worked at the box office. Khoobsurat: As Milli Chakravarty, a physiotherapist, Sonam Kapoor was a lot like her usual self, suitably perky and giggly. The film rested on her delicate shoulders and she made sure that the box-office figures did not disappoint. Mardaani: As the fearless Shivani Shivaji Roy, a cop who refuses to give up, Rani Mukerji proved she is an actor to reckon with. The film proved that the actor can also hold her sway at the box office. Queen: Kangana Ranaut’s portrayal of the under-confident Rani Mehra to a woman who knows what she wants, swept the audience and the critics off their feet. The film, which picked up primarily because of word-of-mouth, was considered a hit. Happy New Year: As the Maharashtrian bar dancer, Mohini, Deepika Padukone once again proved that she is an actor to reckon with. Despite the interesting ensemble cast of the film, Padukone was noticed for her vivacity. Hasee Toh Phasee: Parineeti Chopra’s experiment with this quirky comedy where she plays an intelligent geek, Meeta, earned her lots of praise. She even went in for a make-over for her role. Not only did she deliver an impressive performance, the film also went on to become a hit at the box office. Singham Returns: Kareena Kapoor Khan slipped under the skin of her character Avni Kamat, the bubbly city girl who falls for a policeman. Khan had the audience hooked with her antics as a Maharastrian girl. The film went on to pack a punch at the box office. Bang Bang: She had just one release this year but Katrina Kaif proved that she can leave an impression. Kaif was talked about for her glamorous role as Harleen in Bang Bang, not to forget being a part of one of the highest grossing films of the year. Ek Villain: Once again Shraddha Kapoor proved that she has the makings of a versatile actor as she charmed critics and audiences alike, in the role of the free-spirited Aisha. With Ek Villain, Kapoor entered the Rs 100 crore club. Kick: Even as the geeky psychiatrist in Kick, Jacqueline Fernandez won the audience over with her charm. Playing the lead opposite Salman Khan in the film that received a mixed review from the critics, the film skyrocketed the actor to the Rs 100 crore league. 1 No more Dark days?